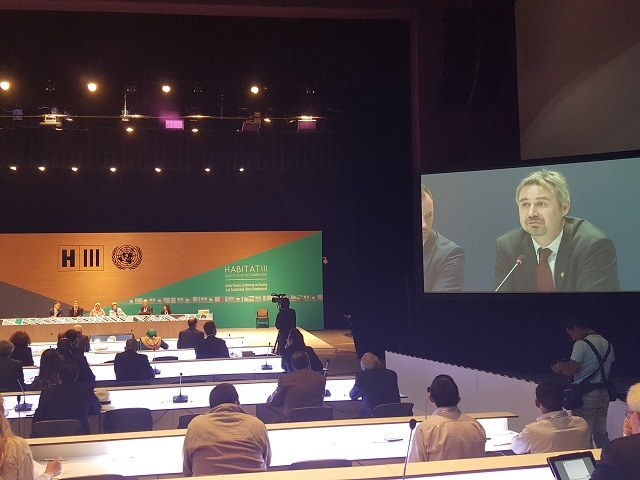 Habitat III is currently underway in Quito, Ecuador. At the Business Assembly’s session “A Holistic Approach to Urban Sustainability” Sunday morning, discussion focused on the need for holistic planning in order to create the kind of urban transformation that the world needs. The event was hosted in collaboration with Global Cities and Business Alliance, C40, ICLEI, World Urban Campaign and GAP. From the ratification of the Paris Agreement to the Sustainable Development Goals (SDGs) and even the most recent agreement on hydrofluorocarbons, the international community is proving that it can make real progress and commitments. The time for negotiating a big framework is over—the crucial question now will be about action. Turning the New Urban Agenda into tangible change will require a paradigm shift in how we approach achieving sustainable cities. Too often, cities—and their individual agencies and departments—operate in their own siloes apart from business, people and each other. Creating the kind of transformative change that we need will require more integrated coordination and collaboration than ever before, and it is clear that the private sector will need to play a critical role. Research from the New Climate Economy shows that investing in public and low-emission transport, building efficiency and waste management in cities can generate savings of US$17 trillion by 2050. Furthermore, in emerging economies such as India, 70–80 percent of the built environment that will exist by 2030 has yet to be constructed. Acting on these opportunities will require the participation of the private sector, who will help not only finance, construct and operate this infrastructure, but also research and develop new technologies and unlock limitless opportunities for private-public collaboration. The good news is that this isn’t an impossible task. Countless cities are proving to be leaders by working with business to create holistic change. For example, New York City’s PlaNYC integrated actions on affordable housing, green space access and road safety to improve the economy, sustainability and social inclusion all at once with the help of the private sector. In particular, many cities’ participation in the Vision Zero initiative to eliminate traffic fatalities serves as a global model for creating cities safer by design. 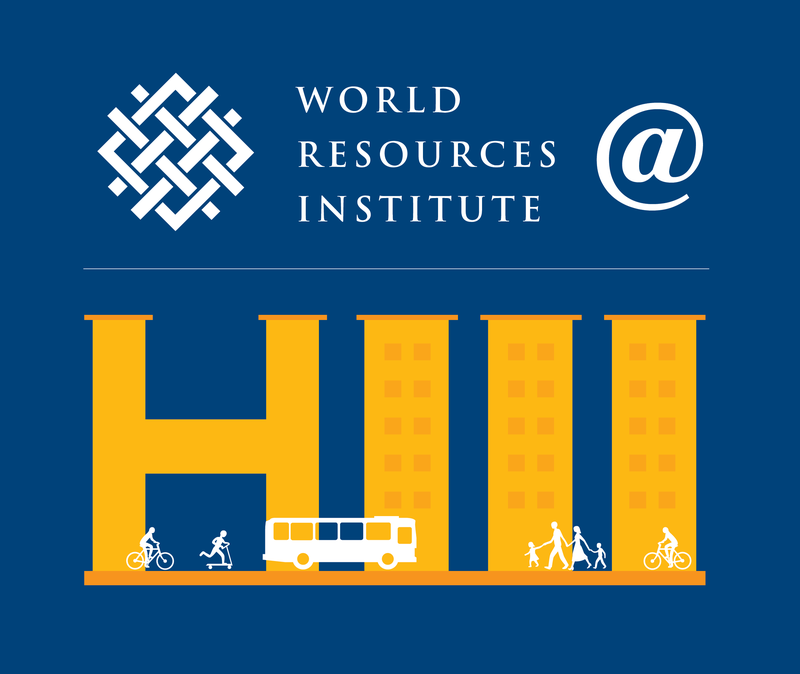 Similarly, as the World Resource Report shows, Medellín, Colombia, once known as the “murder capital of the world,” built a coalition with political leaders, the private sector and other key stakeholders to invest in education, reform housing policy and address causes of poverty citywide. With this model of partnership, Medellin demonstrated that urban transformation is possible—but only with an integrated approach. 1) Set an Ambitious Vision – a clear and ambitious vision is the foundation of change. 2) Focus on Key Interventions – cities can’t do everything, even with the help of collaborative networks. Setting priorities is essential. 3) Measure Systematically – consistently measure actions for results is important for demonstrating that change is possible, but cities shouldn’t wait. 4) Build Alliances – with local and global businesses and civil society. 5) Act Now – the opportunity is now. If cities act on these five steps—as many are doing—the world will be able to achieve our ambitious commitments and create transformative change. Follow our daily coverage of TheCityFix here.